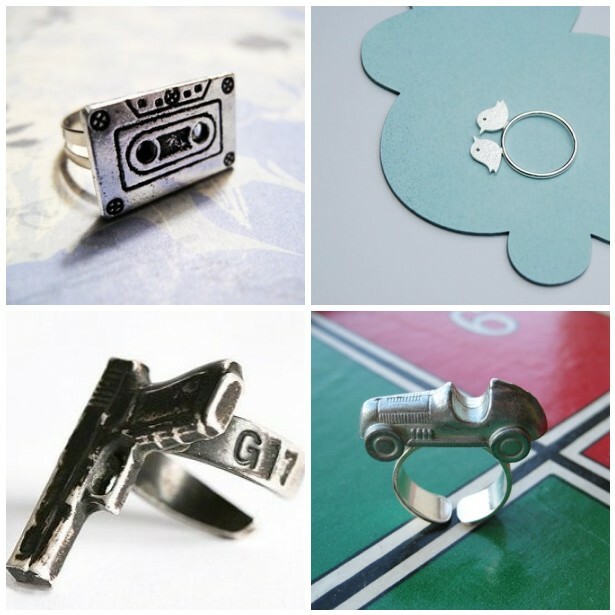 Don't you just love unique rings? That red circus tent is so neat! I've never seen anything like it. Great finds! I love the elephant ring! Wow! You gave me some great ideas for gifts. Thanks! 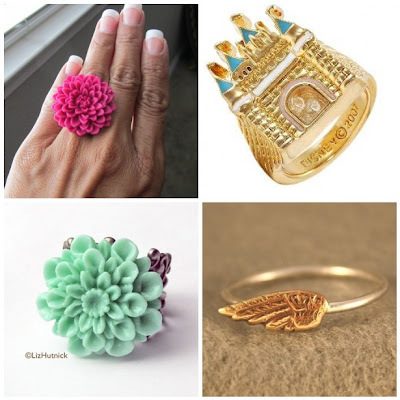 I love the pink flower ring. Adorable. I might be in LOVE with that wing ring and the love-birds ring! CUTE. 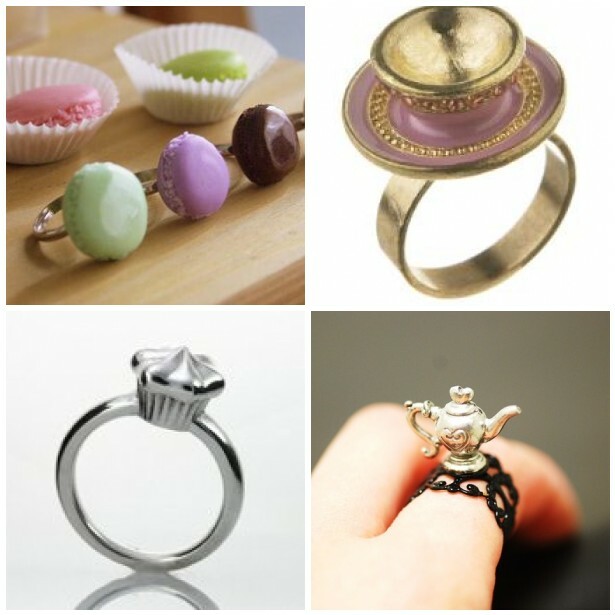 And the tea-pot ring, too. There goes my paycheck. 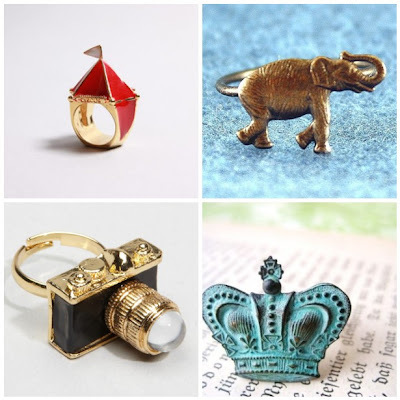 i LOVE the elephant, bird, and camera rings, LOVE!! and of course you can never go wrong w/ a flower ring!